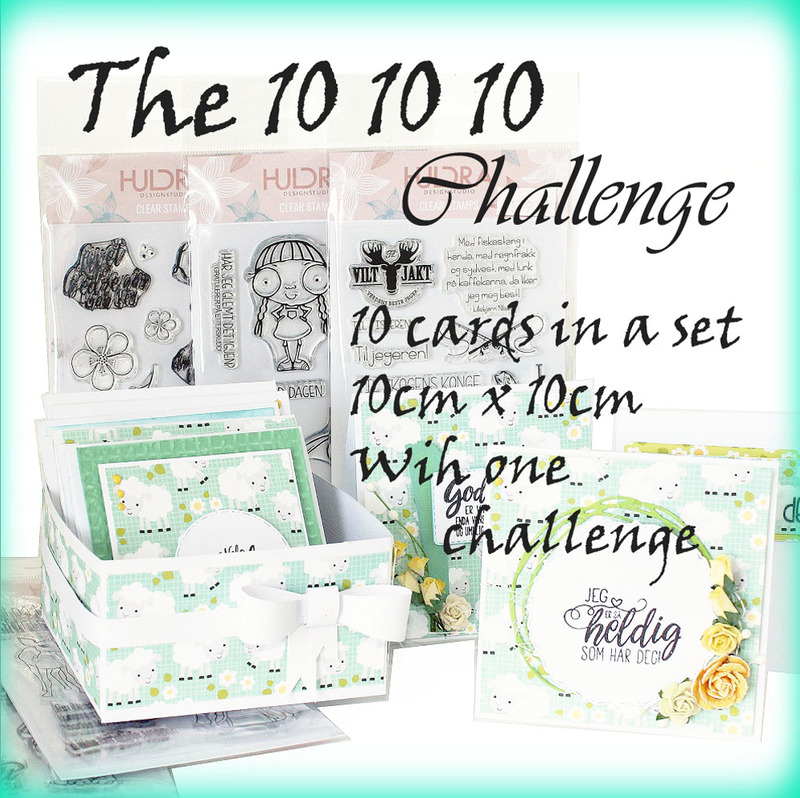 The challenge - 10 cards, 10x10cm and one sheet of patterned paper. 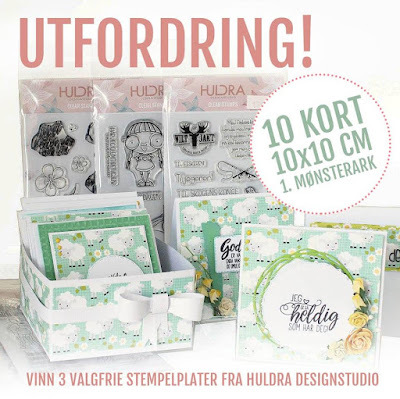 A few weeks ago, I got the new stamps from Huldra design. They have Norwegian texts and are so inspirering. 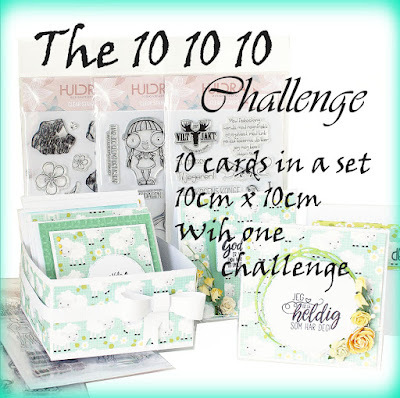 I created 10 - 10cm x 10 cm cards and a box with one sheet of paper. 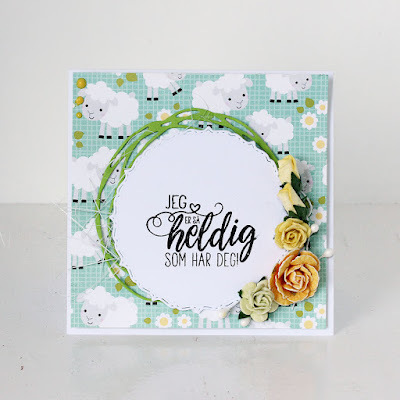 Huldra designstudio also has a challenge and you can find out how to enter at the bottom of the blog post. 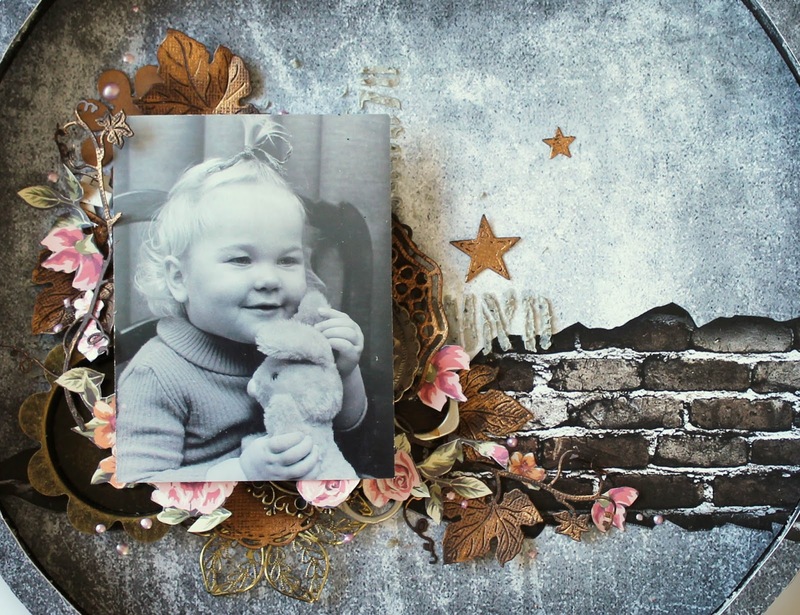 I only used one sheet of patterned paper - so these are a One sheet wonder - set of cards. 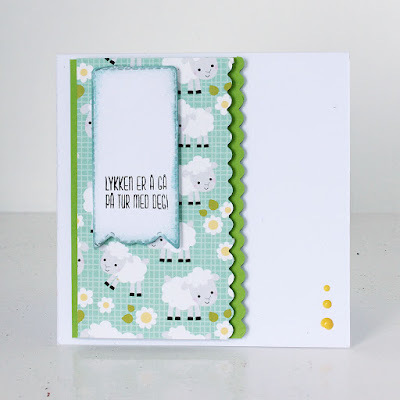 I used the sweet Counting sheep paper from Doodlebug. This paper has sweet sheeps at the front and flowers on the back side. With a one sheet wonder, you then get two different patterns to use. All the cards are different. 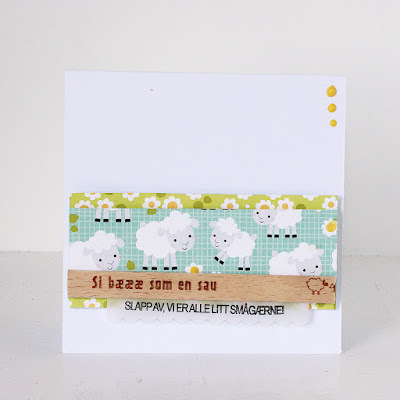 I have only used stamps fra Huldra designstudio. 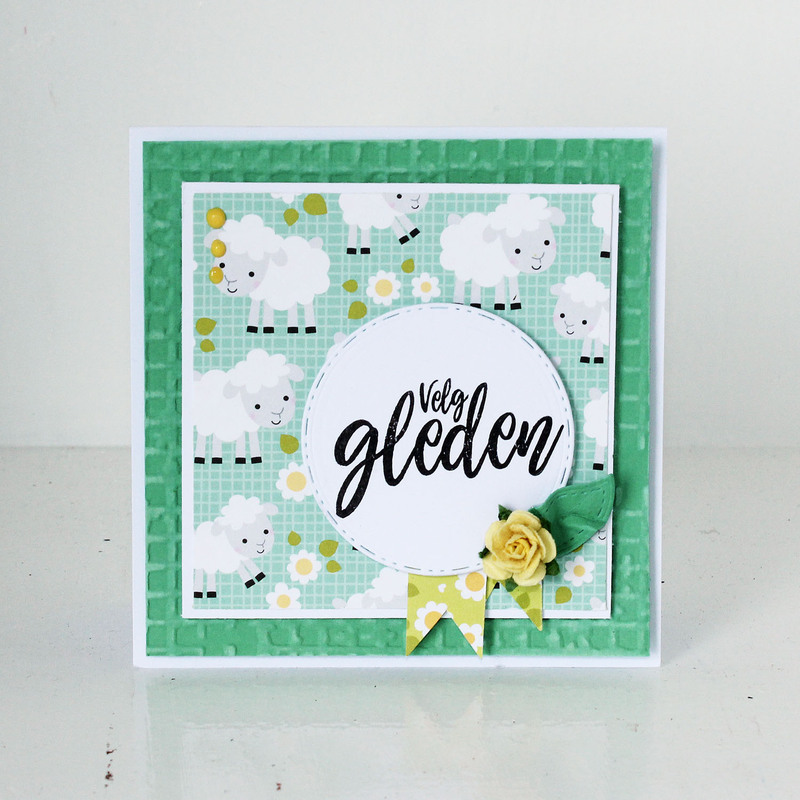 "Velg gleden - Choose happines" is a stamp from Huldra - Brushtekst. 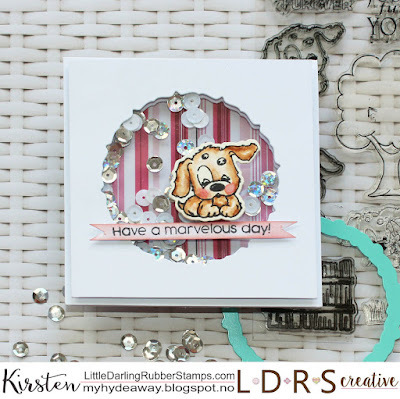 The circular dies is from the die set Fancy circles from LDRS creative. I used green bazzill at the back, embossed with an embossing folder from Sizzix. The leaf is a die from the set Grace Build-A-Card Dies fra LDRS creative. 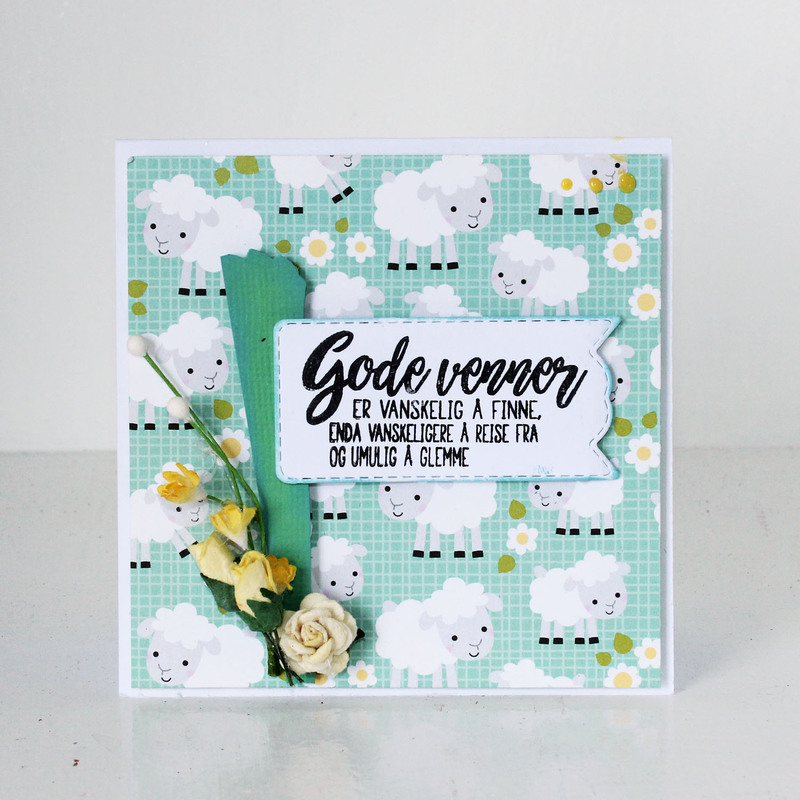 This card has been created with stamps from the set Venner 2 fra Huldra designstudio. 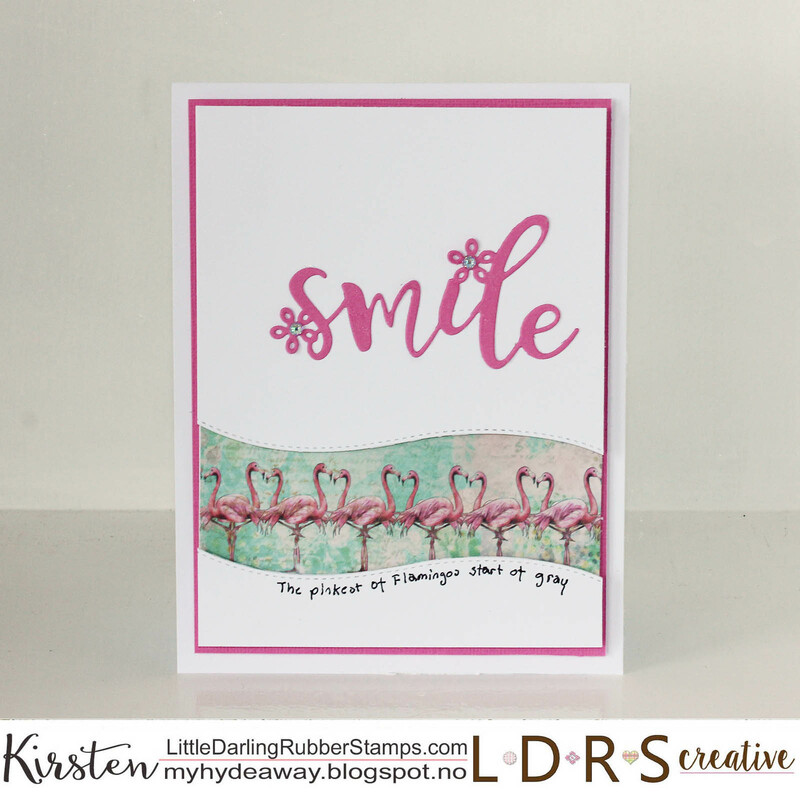 The banner has been dies out with dies from Fancy Rectangles & Layers Die Set from LDRS creative. The banner has been distressed with distress oxide - broken china at the edges. 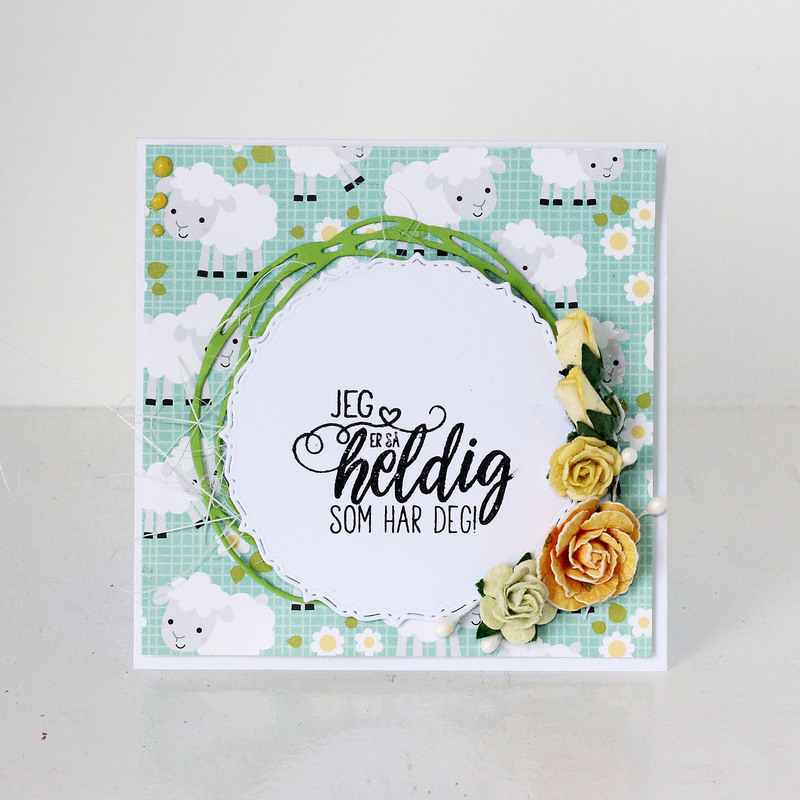 "Hallo på deg" is a stamp from Huldra - Rampestreker from Huldra designstudio. I stamped on Vellum with black StazOn. 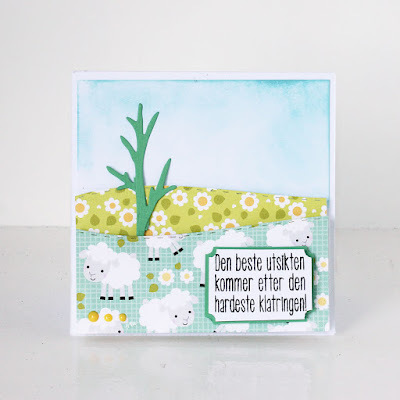 This stamp is from Huldra - Venner 1 fra Huldra designstudio. 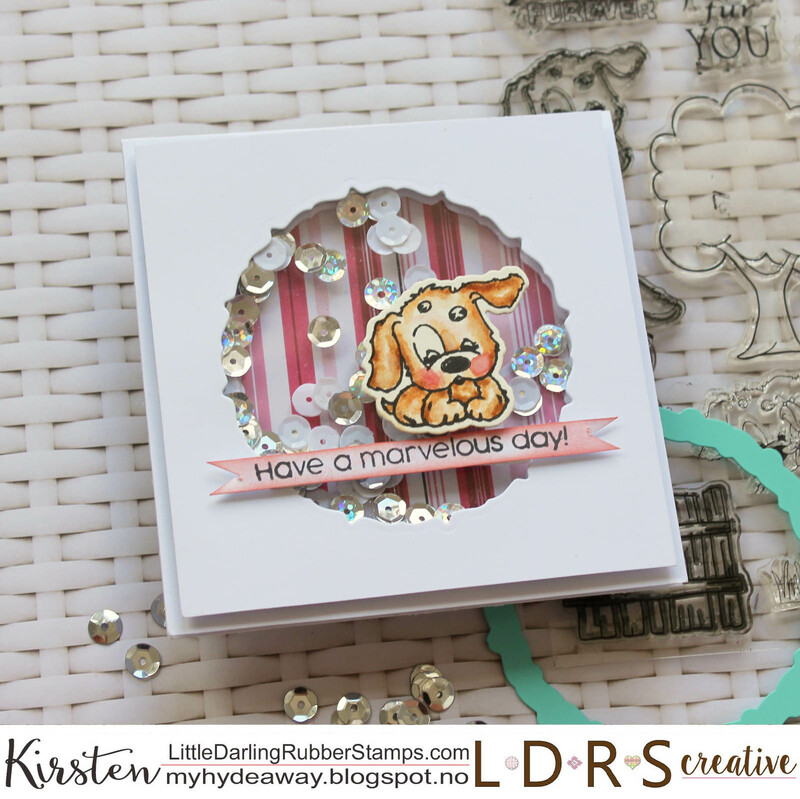 The circular dies is from the die setFancy circles fra LDRS creative. The green wreath is a die from Rayher: Spring Wreath. 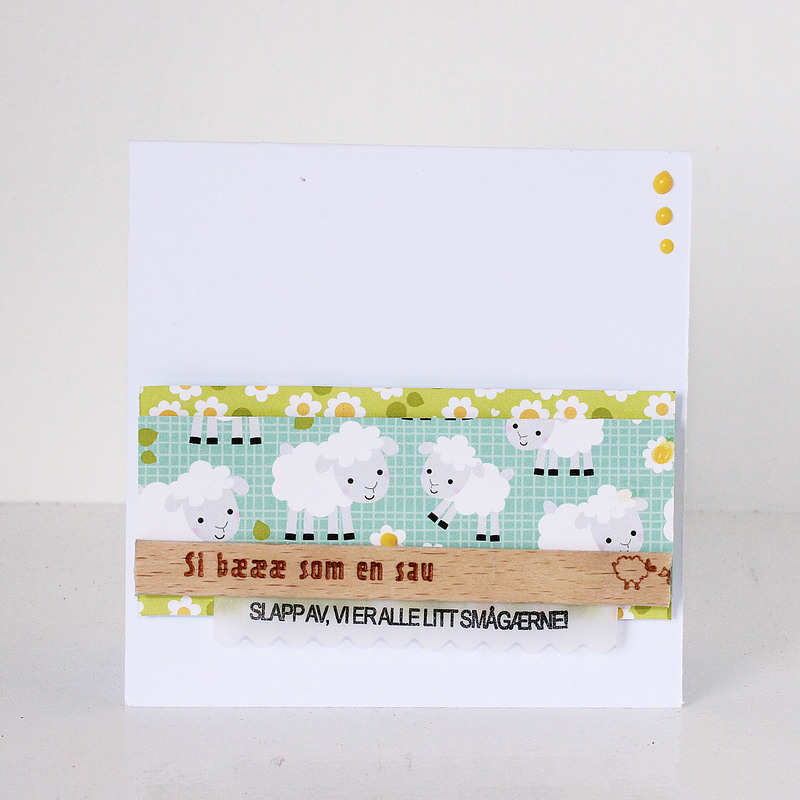 The stamp is from Huldra - Ut på tur Clear stamps - from Huldra designstudio. 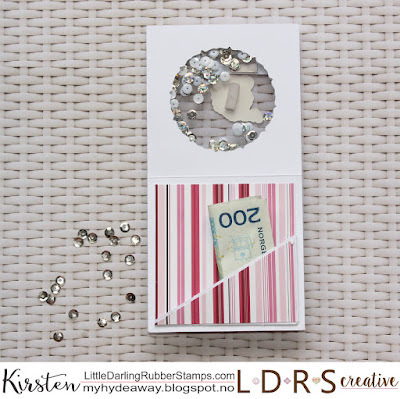 The banner has been diesed out from a die from Fancy Rectangles & Layers Die Set fromLDRS creative. The edges has been distressed with distress oxide - broken china. 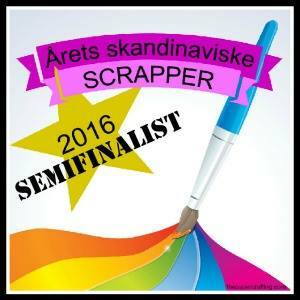 This text is from the stamp Huldra - Brushtekst. 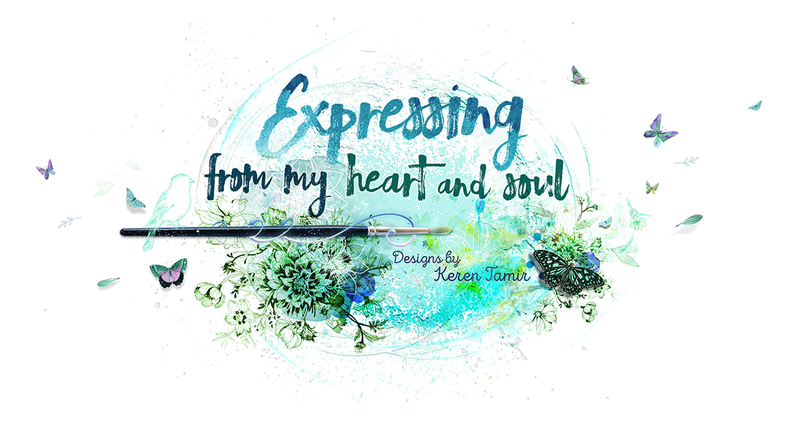 The banner has been dieset out from the set Fancy Rectangles & Layers Die Set from LDRS creative. The banner has been distressed with distress oxide - broken china. The text here, is from the stamp Venner 1, from Huldra designstudio. 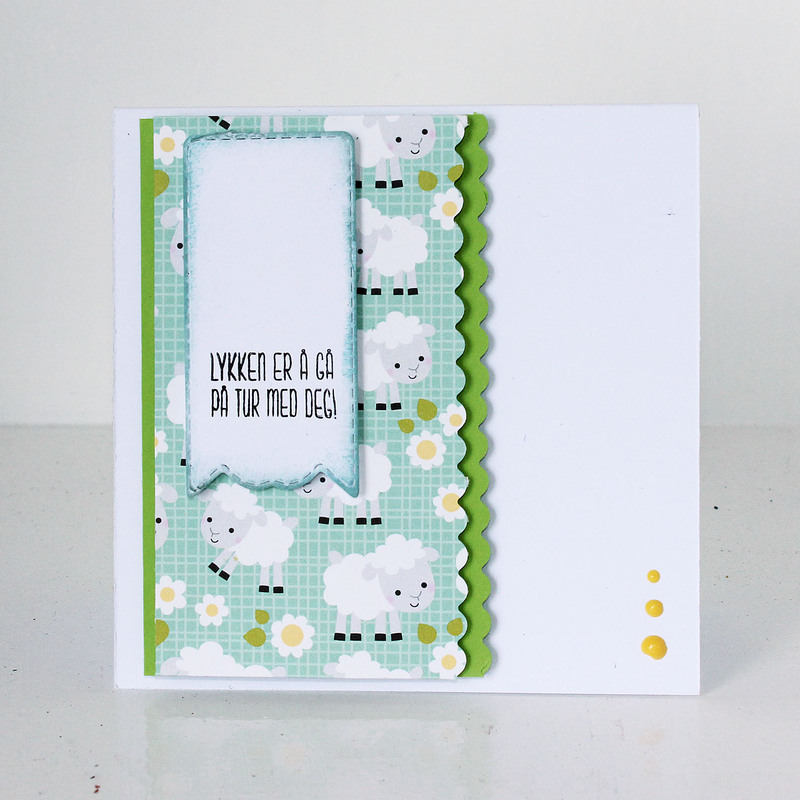 The stamp used here is from Ut på tur from Huldra designstudio. The edges of the grass has been dieset out wiht an edge dies from Rayher: Snowflake border. The little tree has been dies out with a dies from Rayher dies: Winter birdhouse. Here, I have used the wooden piece from a "dyreparken" ice lolly. 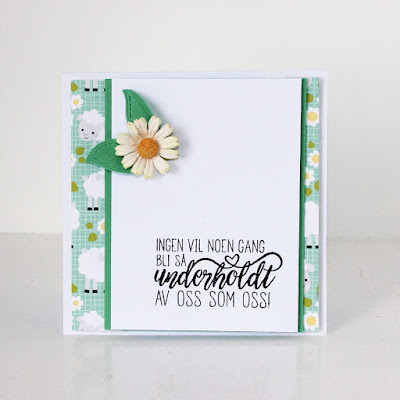 The stamp is from Huldra rampestreker fra Huldra design, stamped on Vellum with balck StazOn. On this card, I used the stamp Huldra - venner 2 from Huldra design. 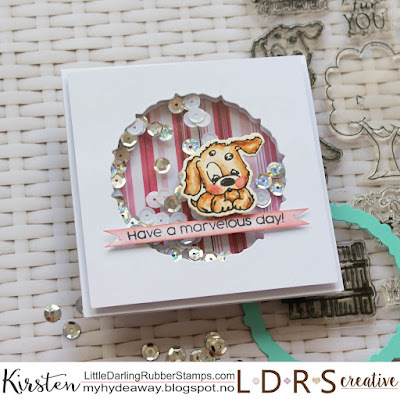 The circular die is from the die set Fancy circles from LDRS creative. The banner has been distressed with distress oxide - broken china. 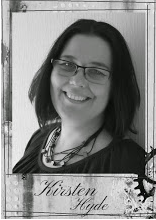 If you are not entering Huldra's challenge, will you take this challenge? Hello everyone. Today, I am showing you a little shaker card with a sweet puppy from the Puppy Love stamp collection. The text "Have a marvelous day!" 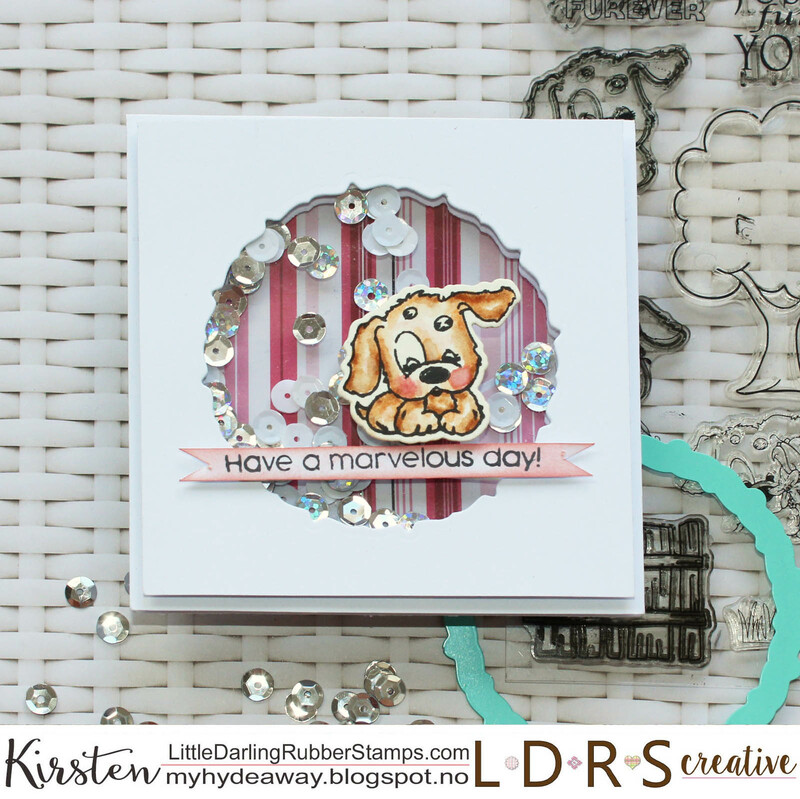 is a stamp from the sweet Mini Winnie Boutique stamp and die set. The little circle used for the shaker window is from the Fancy circles dies set. 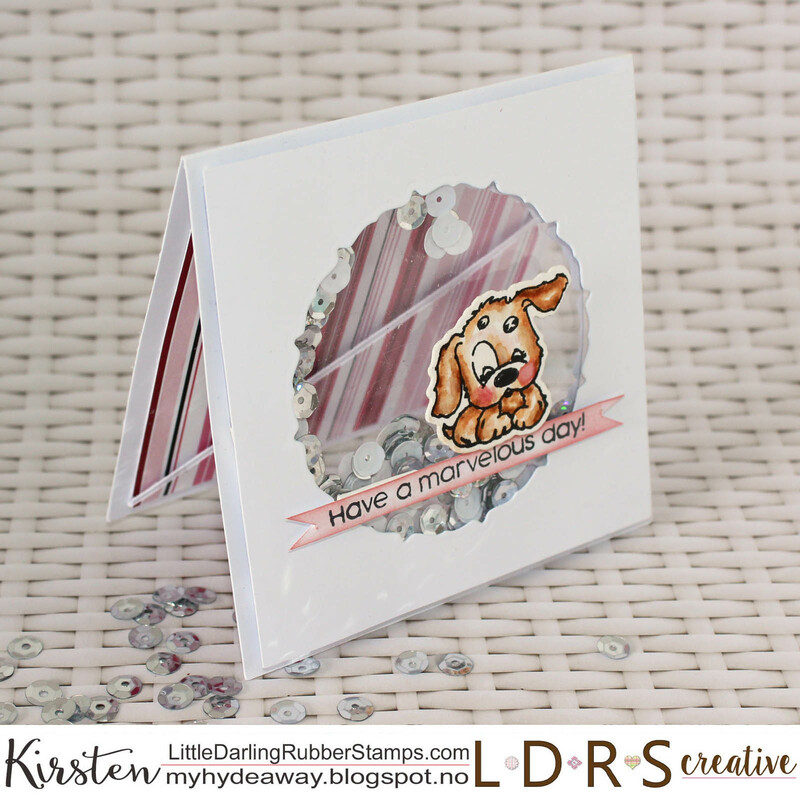 The shaker window is showing the stripy paper inside the card, from the Sincerely Yours - 6x6 Paper pad. 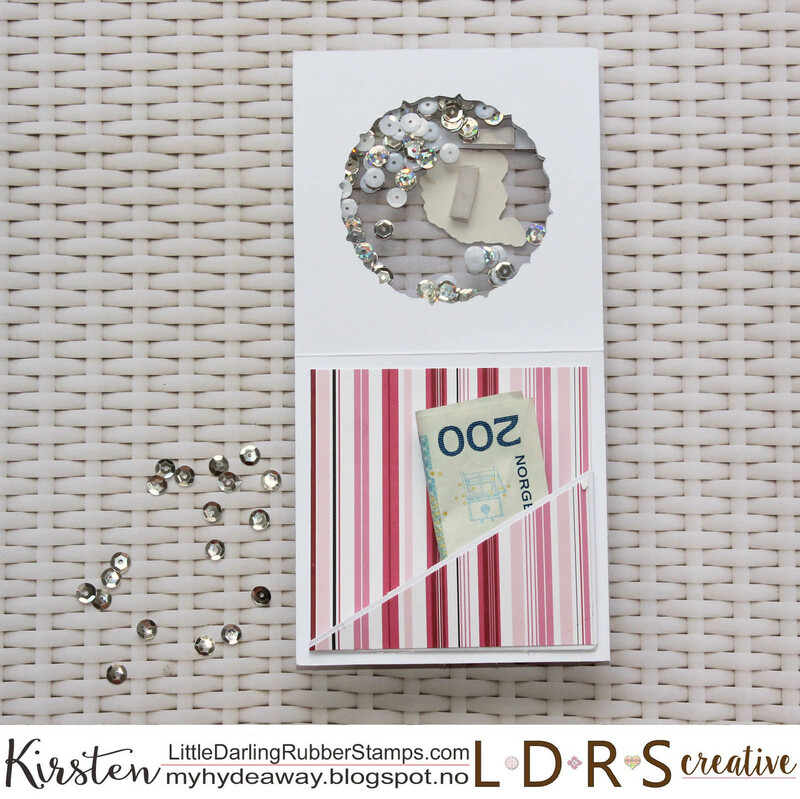 The inside of the card has space for a gift card or a money gift. Wishing you a fantastic summer. This is a simple mixed media layout I created for the magazine The Papercrafting a while back. 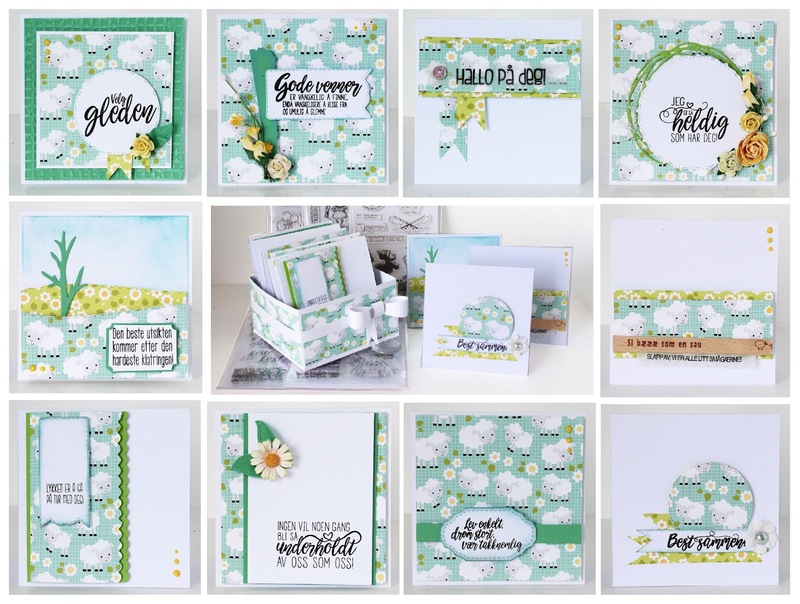 It's no secret that Prima has been one of my favourite brands for a lot of years. 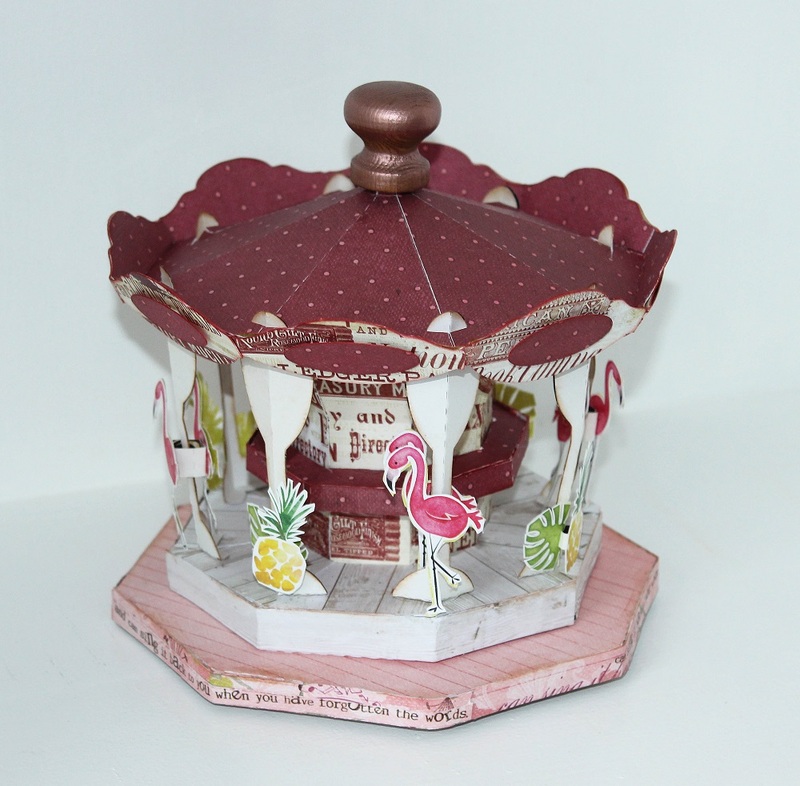 Therefore, I also have a lot of Prima stuff and old collections in my craft studio. 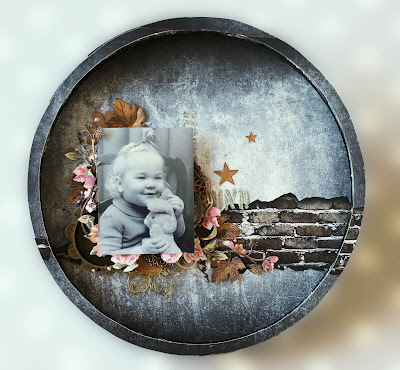 This layout was created as an article to inspire to use some of your old craft stuff that you might have in your craft room. The papers are Prima's Salvage District colletions - Chateau and Forever Green collection - Watch them grow and Nature's Bounty. To create the stones with moss, I used Prima paper and painted it with Rayher kreativ concreate paste and FolkArt moss paste. 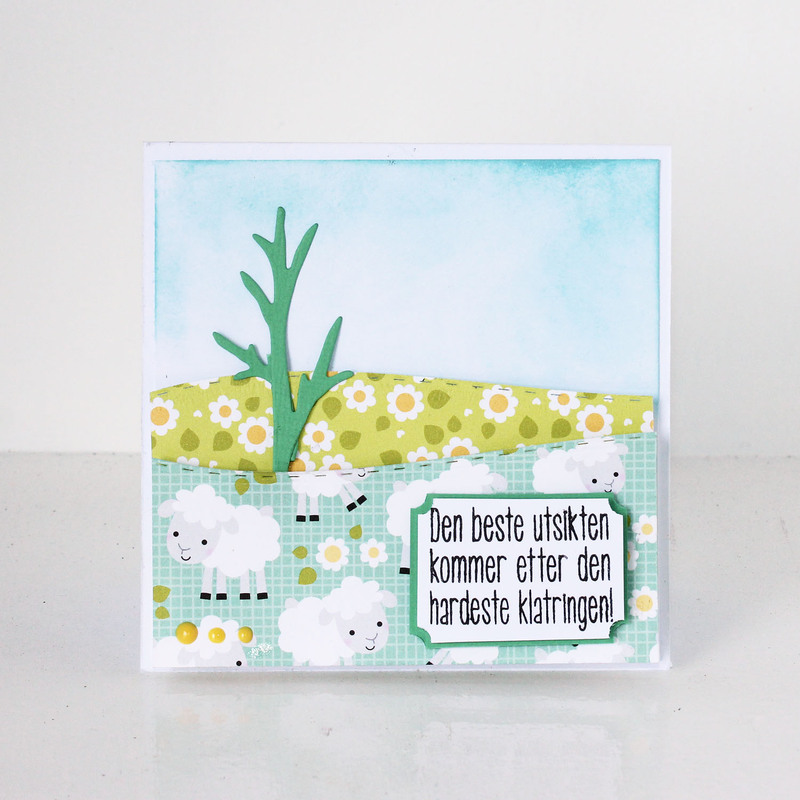 To create the grass, I used car polishing yarn and coloured it with different green alcohol inks. 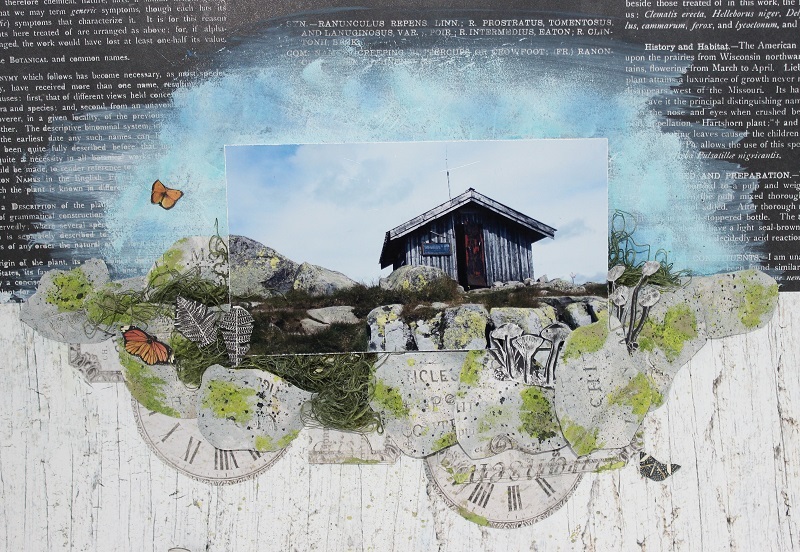 I painted the sky with with a mixture og white gesso and blue paint with a spunge. 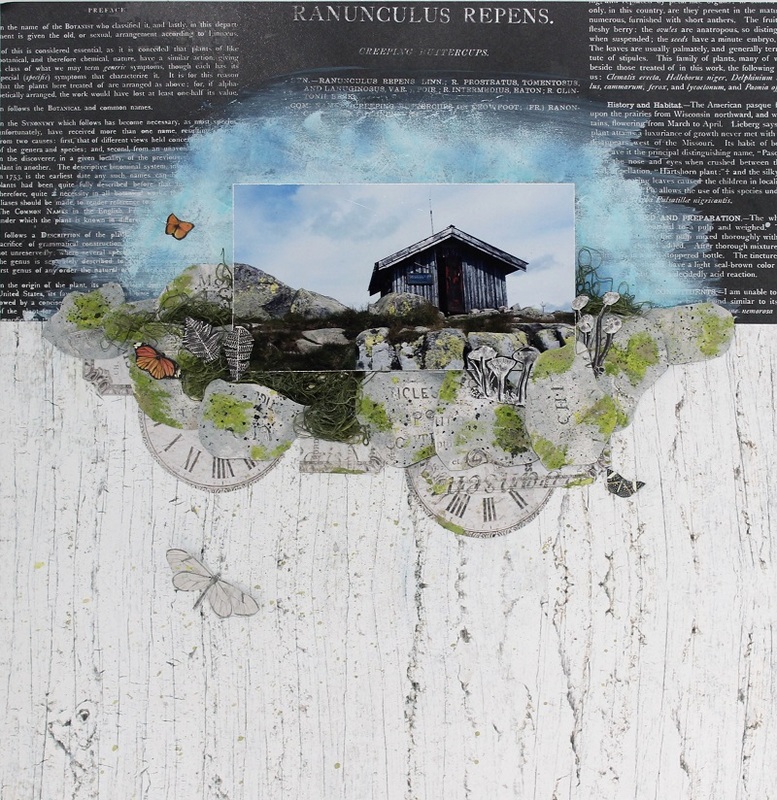 All the items have been mounted with 3D tape in layers, to create dimensions in the layers. Good luck with finding old scrapping collections in your craft rooms. Today, it's another fantastic summer day here on the eastern coast of Norway. 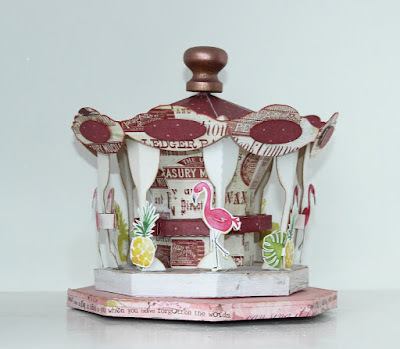 Today, I am showing you a project with a sweet summer feeling. This paper crousel do turn around. 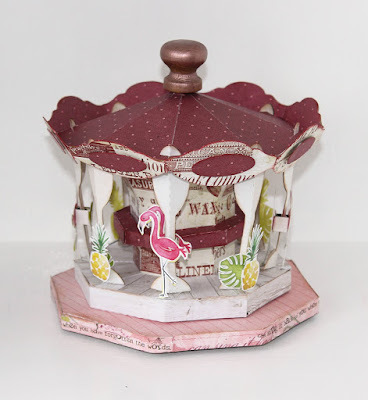 It has been created with a lot of old Prima papers. The Pink papers are from the Meoldy collection. Hobbykunst has only got the Prima Melody Troubador left. 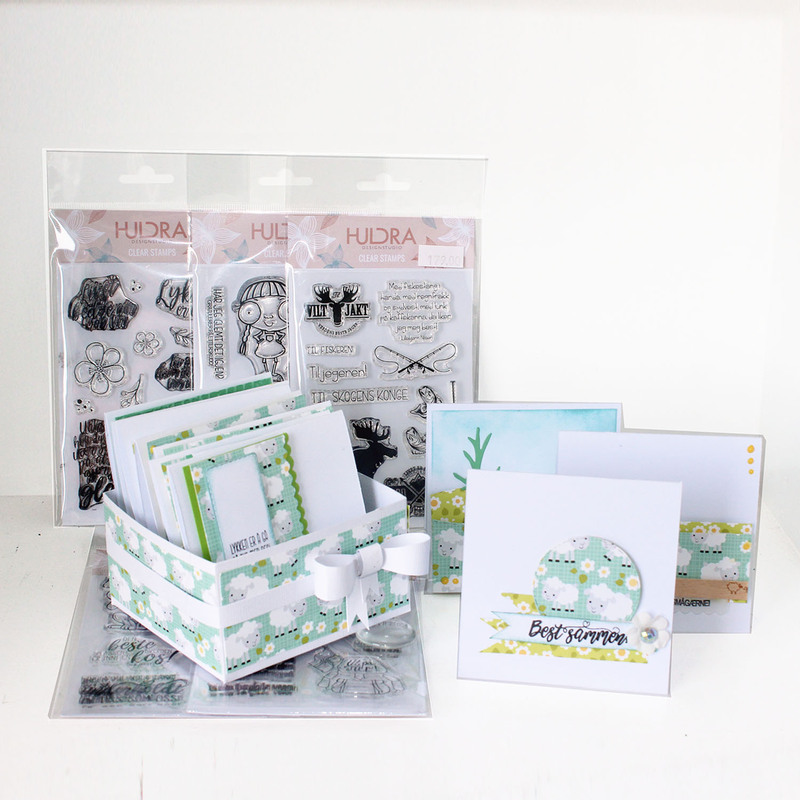 I have also used Prima's stationers desk collection with Prima - Stationers Desk - Fine Print. 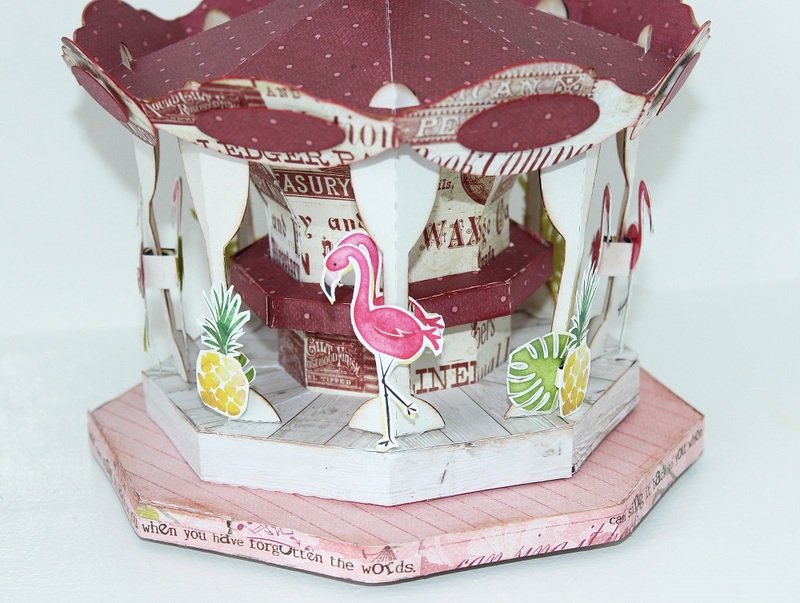 The Flamingos, leaves and the Pineapples has been fussy cut from the paper Fancy Pants: Summer Fun - Hello Sunshine. 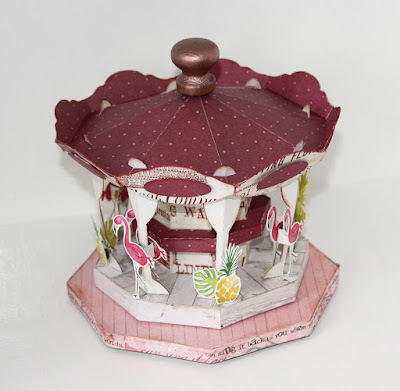 The carousel itself has been created after an idea of an old toy. The carousel has been designed in Silhouette studio and has been cut with a Silhouette machine. 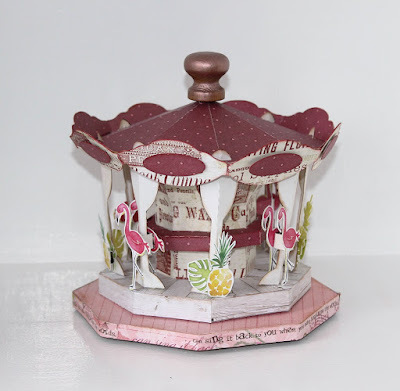 On the top of the carousel, I used an old door handle in wood, and coloured it with Finnabair's wax. 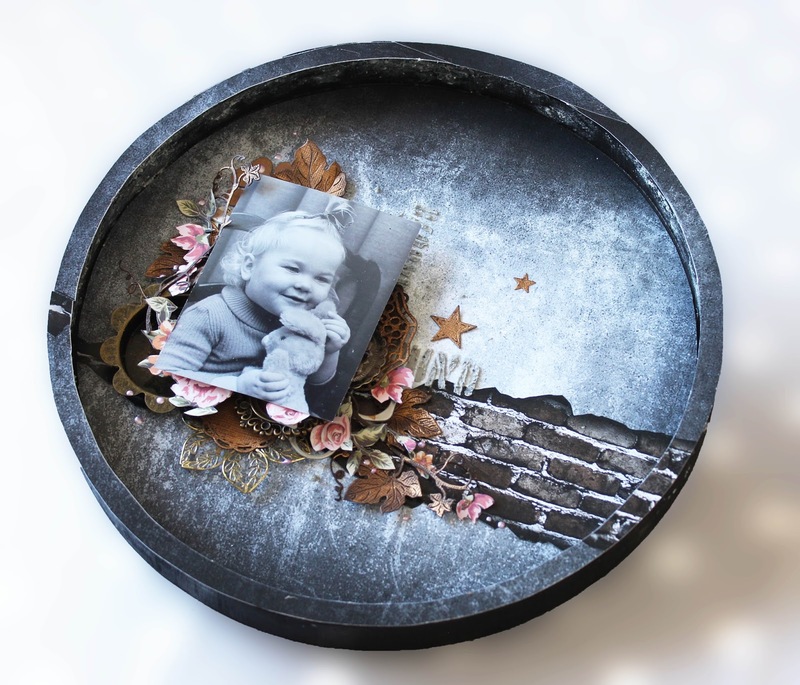 This mixed media layout/canvas has been created with one of the round wooden trays from Hobbykunst. The background paper is from Ella & Viv: Concrete Brick Wall - Backgrounds. 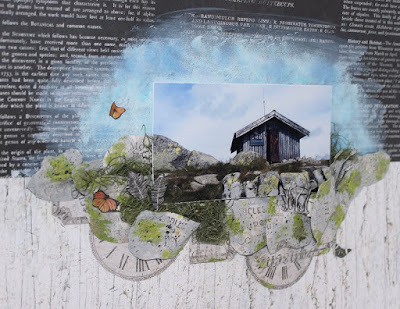 Everything has been built up with 3D tape to create dimention. I used metal from different brands in the background. The flowers has been cut out from the paper Sainte Maxime - St. Tropez fra Prima. 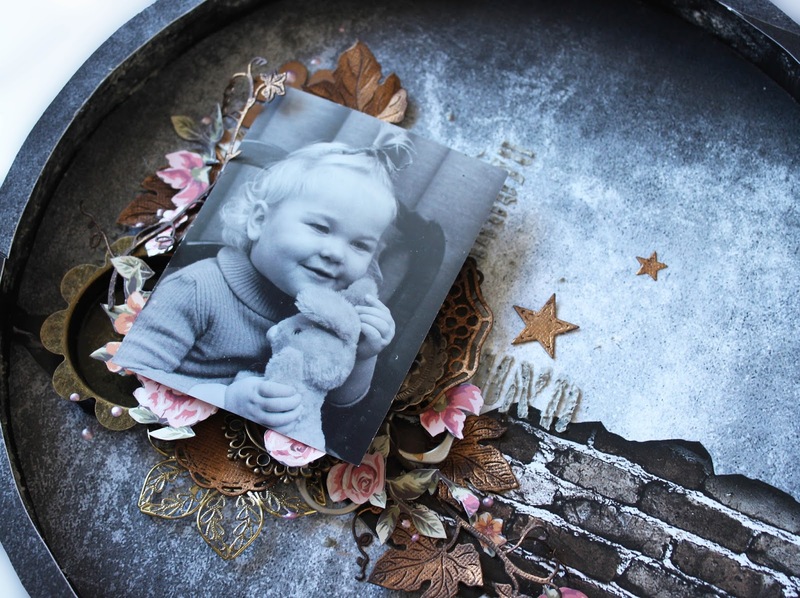 This paper is fantastic to use as fussy cut flowers, instead of using ready made flowers. The text in the background has been made with an old Tim Holtz stencil and Rayher's conrete paste. This paste is fantastic to use with stencils. 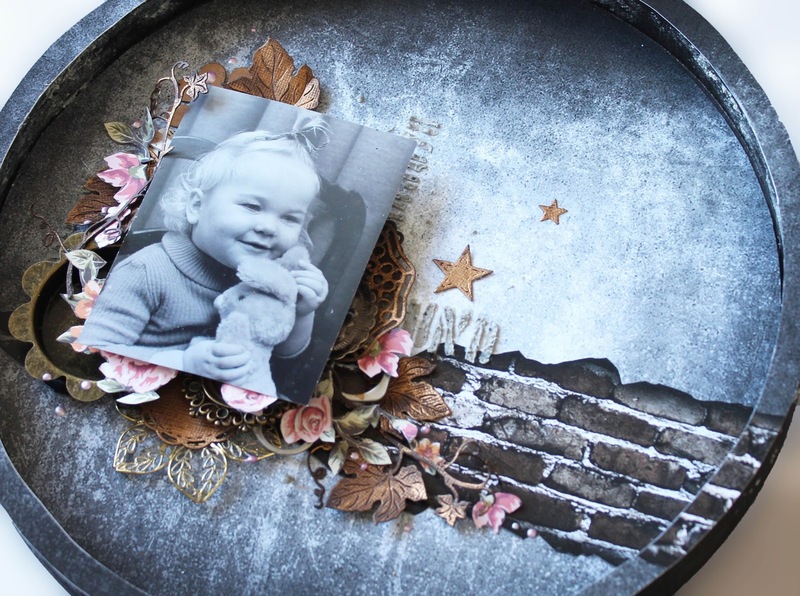 Here, I have used different die cuts created with dies from Rayher: Doilie dies, wine leaf dies, flower dies and star dies. All the paper die cuts has been painted with Extreme Sheen - Metallik bronzet to create the metal bronze colour. 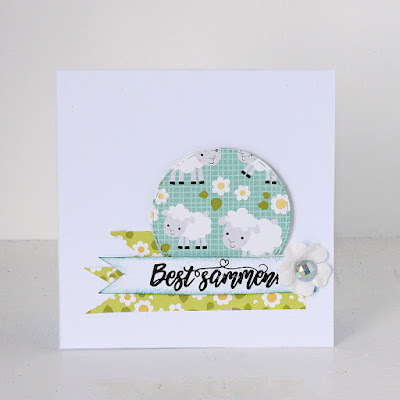 Today I am giving you some happy summer CAS inspiration. 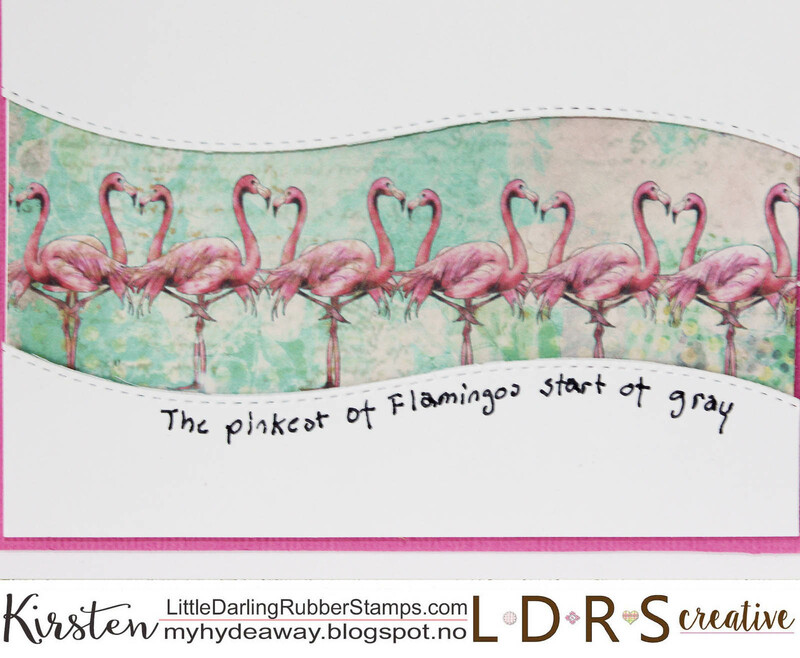 The inspiration for this card was the flamingos from the Time for tea paper collection. 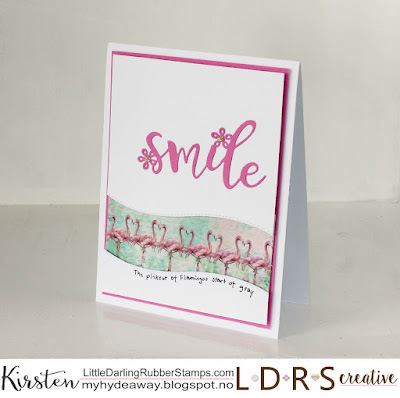 I used the word die, smile and the boarder die Holly boarder to created the shape around the flamingos. 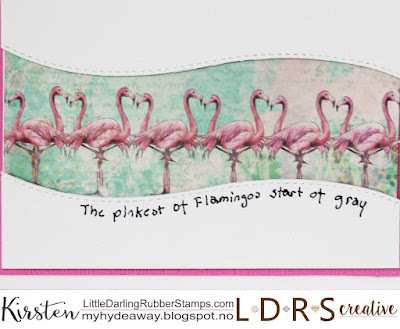 The text "The pinkest of Flamingos start of gray" was written with a black pen. 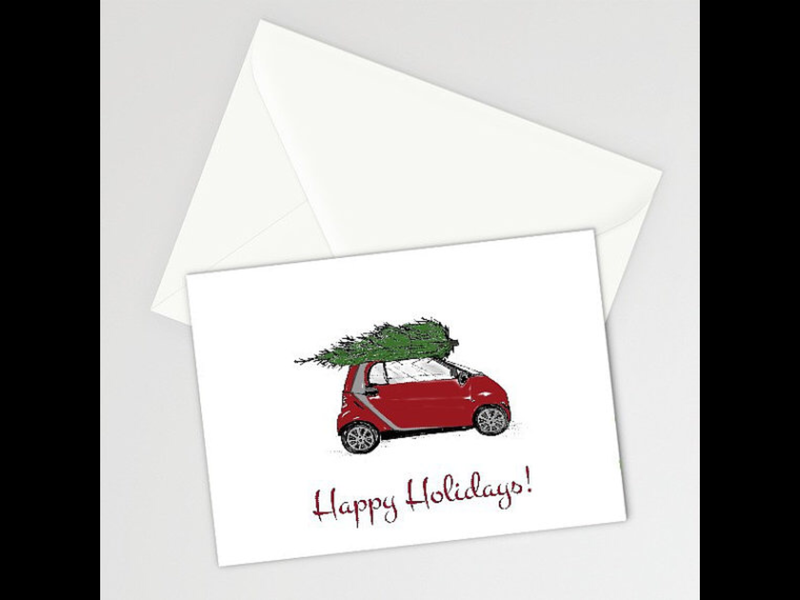 Tthe pieces was mounted on 3D foam to create dimentions in the card. 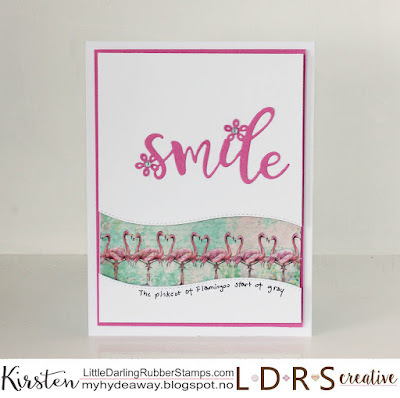 The back of the card was simply decorated with a circle with Flamingos created with Fancy circles dies set and banners created with the Fancy Rectangles & Layers die set.